Advanced technology means that EAS can offer a wide range of bespoke swing door options to make the most of your space and suited to your every need. 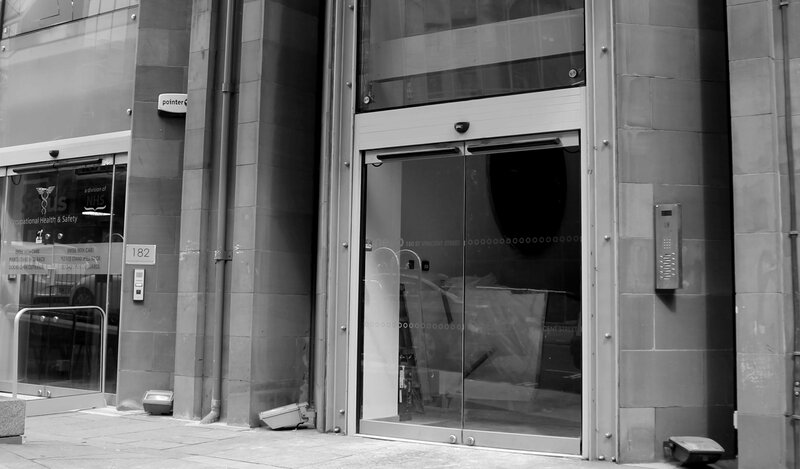 From low energy swing doors, ideal for DDA entrances offering a great solution for disabled access for any building, to fully automatic entrances more suitable for retail units. The slim and stylish swing operator, only 85mm high, is installed on the transom above the door, connected to the leaf with either a push or sliding pull arm. The intelligent and reliable microprocessor allows for many programmable features this allows us to set the operation to your needs. Durability and reliability makes this operator perfect for heavy footfall scenarios like shopping centres and its silent operation also means it is easily suited to an office or care home environments. EAS swing doors can be integrated with the latest in activation technology from push pads for disabled access or motion sensitive radars, to security access control devices from remote key fobs and video entry systems. The versatility of swing doors also easily allows them to be used with a wide range of electric or electro mechanical locks such as Mag locks, strike locks or electric panic bars making this a great choice for secure entrances. Our swing operators also allow us to retrospectively install to most existing swing doors allowing you to achieve DDA compliance in a cost effective way. What is an Automatic Swing Door? Most existing manual swing doors can be adopted to automatic and turned into an automatic swing door. 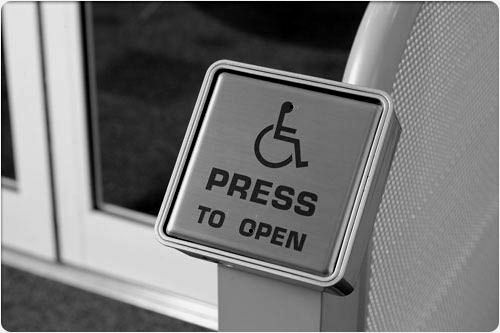 These can be installed in a wide range of environments, which include hotels, hospitals, schools, offices and any type of private or public accessible building. Anywhere that has enough space to house a swing door for example shop fronts or indoors in corridors. Swing doors and automatic swing doors are some of the most popular products in our range as they are easy to install and very user friendly. Where can you not use Swing Doors? Swing doors are very safe and appropriate for 90% of environments. There are not many scenarios where you could not install one. Swing doors also have the advantage that they do not require a lot of space to be installed unlike sliding or telescopic doors. Where are Swing Doors installed? Swing Doors can be installed in most buildings such as hospitals, hotels, public buildings, shopping centers and many other entrance and exit types. If there is not a lot of space available, swing doors are a good option as you don’t need any additional space to install the doors. Swing door and automatic swing doors operators are installed onto the actual frame on the transom and do not slide past frames or move anywhere else. Swing doors do however require an area in which the door can swing (swept area) and an area 1.5m to allow for sensor (automatic) activation. As they reside within their own frame and swing back and forwards, there is no real space limitations for them, so, they are a good and cost effective option for almost anywhere. What are the costs for Swing Doors? Swing Doors in their basic form are not expensive to install. Costs may vary depending on what you want the door to do, as there are a range of products and auxiliary products that can be fitted with swing doors. These include activation sensors, DDA compliant push pads, access control devices such as key pads, fob readers or video/audio entry call points along with electric locking. However, the actual swing door operators as a basic package are very cost effective and not expensive. Can you help with the maintenance of automatic and manual Swing Doors? Yes, we have packages in place to ensure you get the most out of the lifespan of your door or automatic door. Entrance Access Solutions recommends that you have your doors maintained once every six months. Within our maintenance package we come on-site and carry out a full check of the door and automation such as any consumable parts which may experience wear and tear from day-to-day operation of the door. For example, these types of doors swing on a bottom pivot, which can get worn. Similarly, there are also top pivots that can get worn over time. There are a lot of movable parts and as such, we recommend visiting your premise and carrying out a full maintenance inspection every six months. After the inspection, we make recommendations in case of required repairs or suggested upgrades to the system. What materials do you use for Swing Doors? When it comes to installing new manual or automatic swing doors, Entrance Access Solutions recommends the use of aluminium. This is a very durable material and has many other advantages over other comparable materials. If we are asked to install automatic swing doors on an existing system, then we can accommodate any material that the door is made of. This includes timber swing door, steel swing door and toughened glass swing door. We can automate pretty much any type of swing door for you. These types of doors have the advantage being retrofitted into any situation quite easily. Where any type of hinged or pivoted door is in place, EAS can help replace, maintain or automate it. How long does it take to install a Swing Door? We usually aim to complete installations within one working day. However, this can change depending on the type of door and the work that is required. We always aim to ensure that your premises are secure at all times. 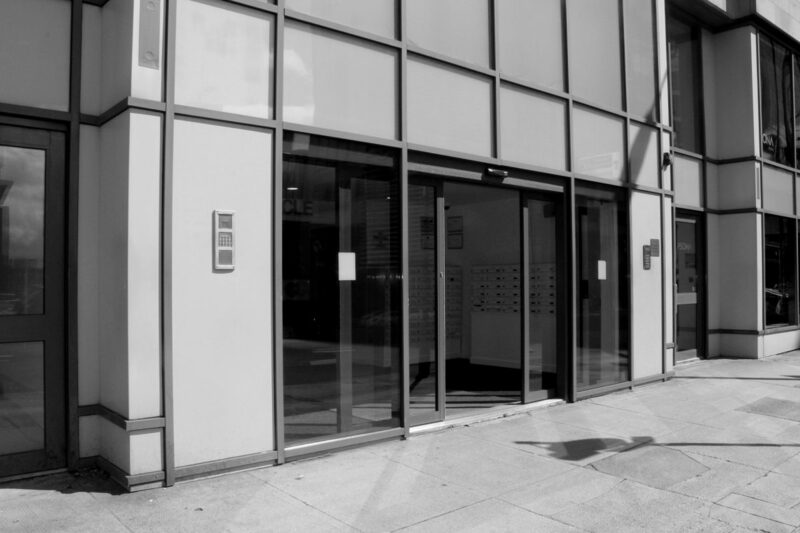 We install both internal and external doors, such as shop fronts on a street or internal office doors. Installations usually take place during working hours but we can accommodate you during out of office hours if required.